Today’s Woman Expo | TFI Envision, Inc.
Tom Fowler, Inc. has created the logo and all of the support materials for the upcoming Hearst Magazines’ Today’s Woman Expo. The support materials include stationary; an image brochure; single page and spread ads in Good Housekeeping, Cosmopolitan, Redbook, Country Living and House Beautiful; posters; a direct mail brochure; subway cards; banners; show guides; shopping bags; tickets; folders; a hand stamp; and other miscellaneous materials. 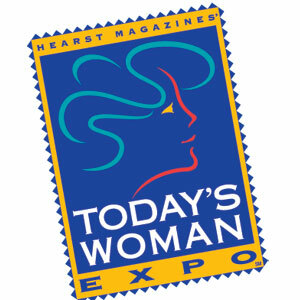 The Hearst Magazines’ Today’s Woman Expo is being held in Boston on April 22 and 23, and in San Francisco on June 3 and 4. There will be 100,000 square feet of information, exhibitors, celebrities and experts, gathered for an expo just for women.